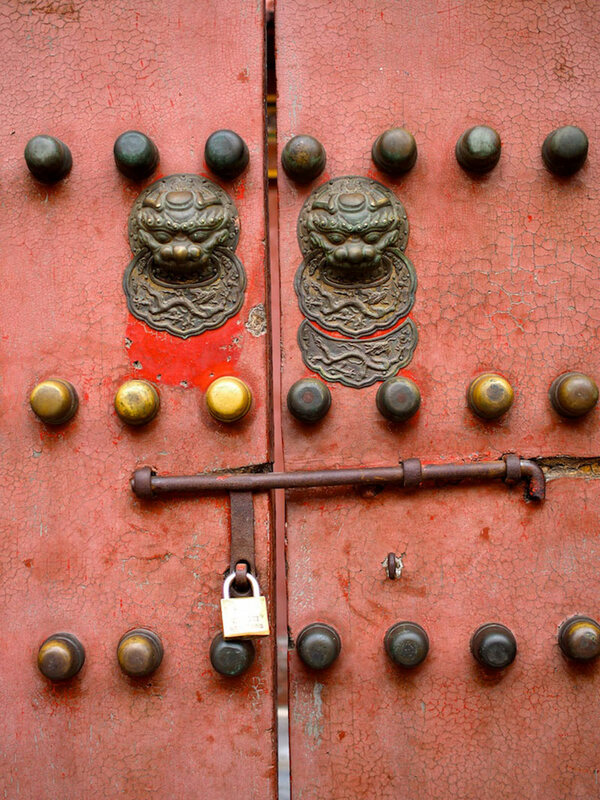 Home / The Urban Edit / Know / So… why is it called the Forbidden City? A very good question (and we bet the answer will surprise you). First things first, it’s not really called the Forbidden City, at least not these days. If you want to get there in a Beijing taxi, you’ll tell the driver “gugong”, which means, roughly, “former palace”. So where does the name Forbidden City come from? It’s actually an English translation of the palace’s Imperial name zijin cheng, a title rich in symbolism. Cheng means “city”, “jin” is “forbidden”, but the Chinese character for zi, also meaning purple, references the north star, which in traditional Chinese astrology was the eternal abode of the emperor. Think of the zjin cheng as its earthly counterpart, where the “son of heaven” would reign eternal. Kind of like an interstellar holiday home. Kind of. You’re probably thinking it was “forbidden” because the peasants weren’t allowed in. Oh yes, and then some. Think of the Forbidden City as the ultimate VIP club. You could be the emperor’s own mother and they wouldn’t let you in the front door. Literally, the central wumen gate, today the main entrance for tourists, was reserved for the emperor alone. What’s more. 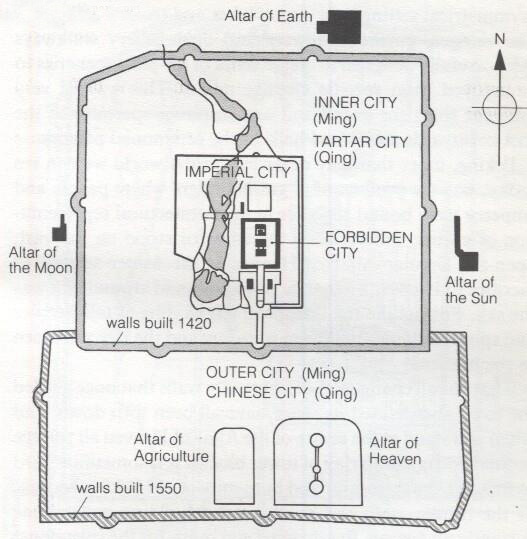 this closed-off world of antique ritual extended beyond the walls of the palace itself (all 3.5 km of them) – a further set of much longer gated walls encircled what was known as the Imperial City excluding mere mortals from another huge swathe of central real estate. But actually, that’s not all. Because the Forbidden City has another name, an official one: the Palace Museum. This is where things get really interesting. The Palace Museum was formed 89 years ago and has managed the imperial treasures within ever since. 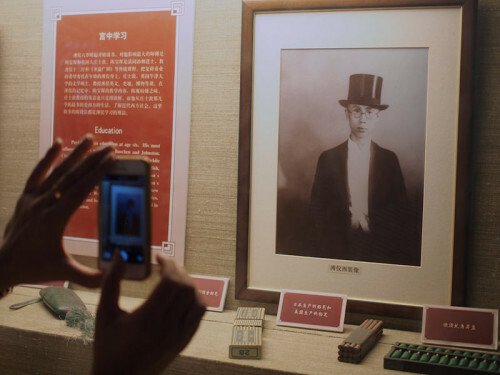 The “boy emperor” Puyi was kicked out of the Forbidden City exactly 90 years ago, the final nail in the coffin for dynastic China. It’s no coincidence that the most powerful institution in Imperial China became a museum so soon after its dissolution. This was a calculated political move by the new Republic, designed to forcibly consign the Qing Dynasty to the history books. And it has remained the Palace Museum ever since. So, gugong, Palace Museum, Forbidden City, zijin cheng – whatever you call it, the story at this politically charged institution is still being written. 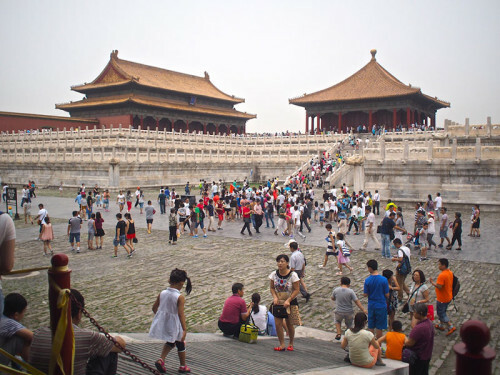 Bespoke Beijing’s brilliant tour guides are your ticket to a more satisfying and enjoyable Forbidden City experience! To find out more, click here. 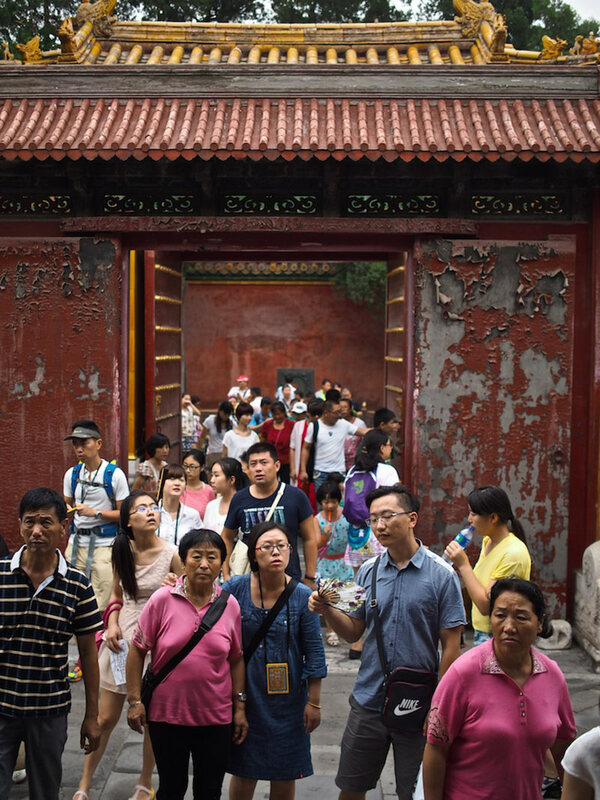 Bespoke‘s latest signature walking tour, From Dynasty to Republic, takes place inside the Forbidden City. Following a limited run of public tours, this will be available for private booking from November 2014. All you need to do is get a group of friends or colleagues together, or even your company department or club / society etc, and send us an email at info@bespoke-beijing.com. Previous Post: « New look Drum and Bell Tower Square Unveiled!